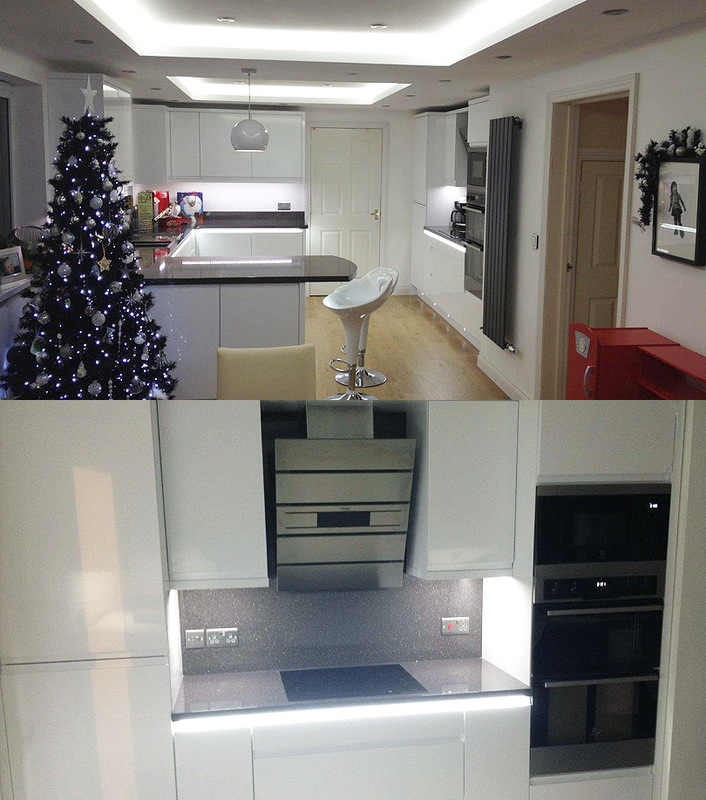 Our client approached us in December with a very specific request – to design, deliver and install a super modern high specification kitchen in time for Christmas. 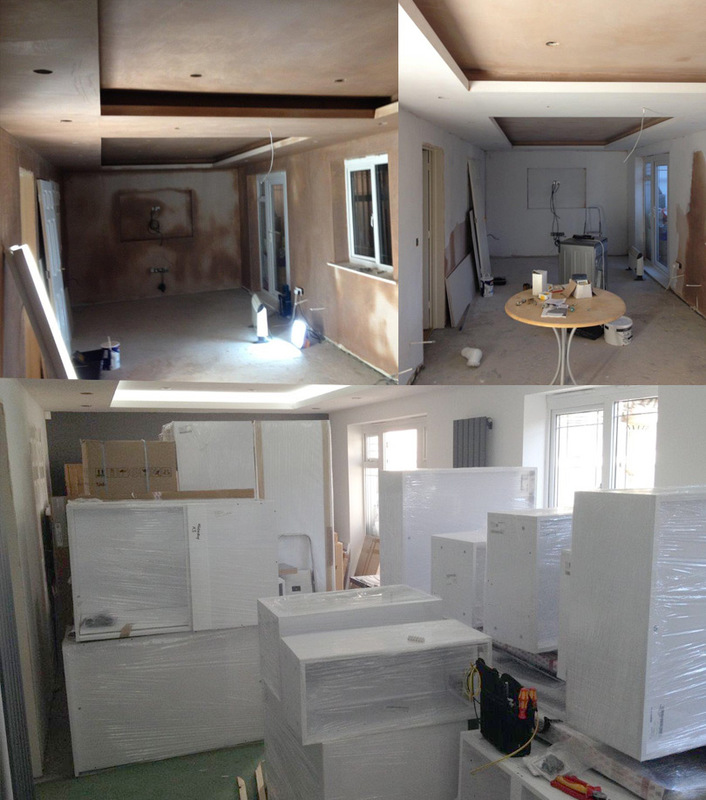 The timing was critical and installation needed to follow immediately on from the completion of their kitchen and dining room extension. fk&b were quick to respond with a proposal and costs which is what won the job. Our client was very open about visiting other kitchen companies but they liked our approach and took confidence from the speed of our initial response. Our lead designer Colin got straight to work helping our customer to design and plan their kitchen and dining room space. The clients taste was minimalist, and they were keen for their kitchen to feature clean lines, glossy surfaces and a stylish monochrome colour scheme. On approval of the design and costs we appointed our installation team and project managed the job through to completion. Our factory not only produced the base units but assembled them on site and delivered them ready to slot straight in. The resulting kitchen achieved exactly the look our client wanted. It’s high tech, slick and modern. The couple invested in lighting with cupboard lighting, down-lighting and you name it! The lighting and decor help to finish the kitchen and create a bright, airy space for the family to enjoy and entertain.